Yes, December 1, and my self-imposed fast is over. It was… interesting. I had considered the possibility of extending it through December, but it’s really become too inconvenient. Since I spend most of my time at my office, the things that one must do but can only do online started piling up. I was able to take care of the urgent tasks for the duration, by doing them at home instead of here; but that had its own extra inconvenience, because all my supporting documents and paperwork and notes are here, too. I’m very glad I did it, however, and I’ll certainly do it again. For shorter periods, perhaps. A month was pushing it; as soon as I logged on again, it was with a great flurry of bill-paying and finance tracking. 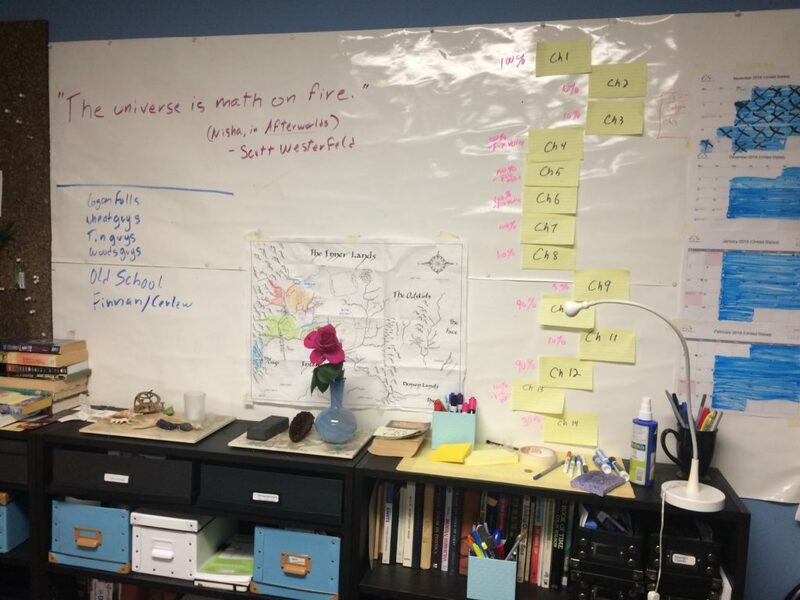 The experience helped me get a better perspective on how one’s day can be used to best effect. I did some good stuff, and I’m rather pleased with myself! I found that did a lot more reading than I had been doing lately, from feeling too stressed and time-pressed to give it the attention it takes. That was a great relief — I became a writer because I love the whole amazing mystery of words on a page turning into worlds in the mind. 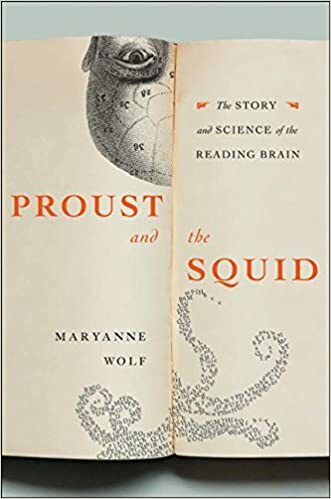 And in aid of that, I checked out from the library (but have not yet got very far into) Maryanne Wolf’s Proust and the Squid: the Story and Science of the Reading Brain. I was inspired to get it in the first place, from hearing about Wolf’s latest book, Reader Come Home. I had nabbed this because of its title and description — it seemed on-topic with my internet-fast experiment. But once I started it, I realized that it would be a good idea to do Proust and the Squid first, since that one was more nuts-and-bolts. 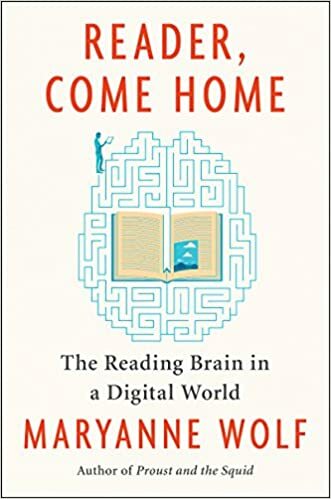 Reader, Come Home seemed a more personal exploration and expansion of the repercussions of the information in the previous book. So, I paused and backed up. I’ll report back when I’ve read more. I have two reliable choices when it comes to that: Terry Pratchett’s Tiffany Aching series; and anything by Scott Westerfeld. I confess that I had originally avoided reading this, because I knew that it involved a teenage girl who wrote a novel during NaNoWriMo, sold it to a big-league publisher, and got vaulted into the publishing world and New York City, and the idea just made me jealous. I freely admit this! They didn’t have NaNoWriMo when I was in my teens — they didn’t even have the Internet. My buried seventeen-year-old me was grumpy and envious of the publishing career of a fictional character. Well, but I could not leave it unread for long, because: hey, Scott Westerfeld. I don’t think he’s ever disappointed me. So, this seemed a good time to give it a go. Well worth the wait. I swallowed it in two big gulps. It has everything I could ask for in a YA. And I even did not mind that it had a romance — two, actually. I generally can’t stand books that center on romances, but one thing my favorite authors are able to do is make me like a book of categories that I generally do not like at all. But I must say… if the protagonist’s first-novel advance is typical for YA writers, then I definitely am in the wrong genre! Ouch. One interesting thing about reading YA is the meta-view, the overview. It’s easier to see the bones, and appreciate the skill going into the twists of plot an turns of phrase. 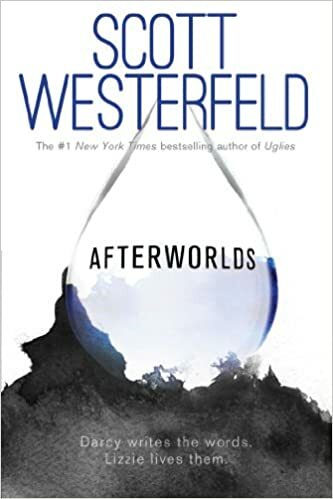 In Afterworlds, Westerfeld alternates chapters of his protagonist’s real life as she enters the publishing world with chapters of the YA supernatural romance that the protagonist is completing. It sounds like a cute gimmick, but its execution is not gimmicky at all, and he keeps both stories rolling along. It’s a book that’s very intelligently written, while remaining as involving as a YA needs to be. I’m sorry I waited so long — and I learned a lot from reading it, I must say. Plus: It has one of my all-time favorite sentences ever written by a human being. When it showed up on the page, I was stunned. I had to put the book down, and just sat there, saying the sentence over and over to myself. Okay, it won’t hit everyone the way it hit me; but it perfectly articulates a thing that I knew, a thing that matters to me, but that I never articulated. It is so true, and so simply said, that I cannot help but love it. Westerfeld just tossed that off, and went back to the story. See, this is what the writers I love do.